When looking for a day trip to Key West, there’s no shortage of options. 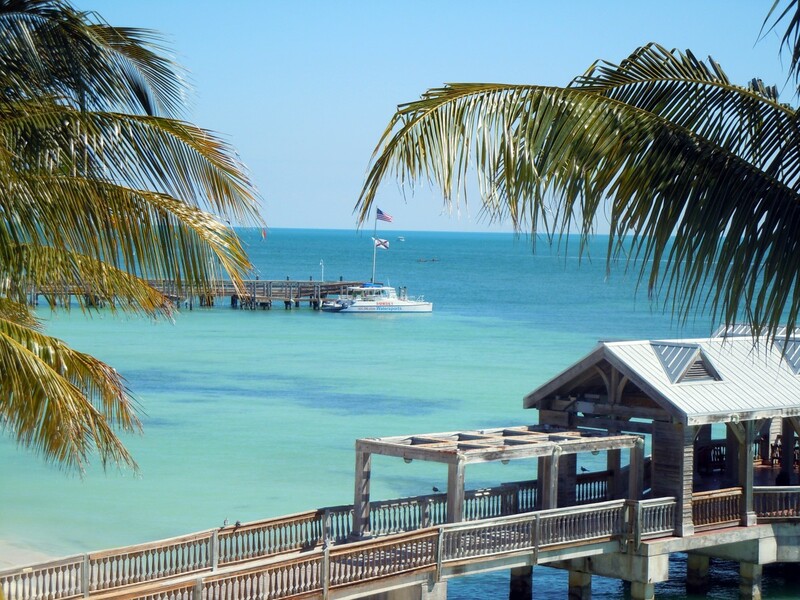 Travel to Key West and Miami Nice Tours offer round-trip transportation on a coach bus (with WiFi and A/C) with a tour guide to answer questions and provide information about Key West’s history and culture. Upon arrival, you can hit the town lone ranger or opt for a guided adventure. Key West has a Hop-On Hop-Off Trolley Tour and Conch Tour Train for those who prefer some additional guidance. Additional services available for purchase include parasailing, snorkeling, a glass bottom catamaran ride, and an overnight stay. If you’re a little ways away from Miami, Gray Line Fort Lauderdale offers similar day trip options out of Best Western Plus Fort Lauderdale Airport South Inn & Suites. Ride economy or first class for your day trip to the Bahamas from Miami on a luxury ferry that holds hundreds of people along with a full-service bar. While these cruises leave from the PortMiami, guests are welcome to upgrade their tickets for hotel transfers to and from the ferry for convenience. You can get a Day Pass to The Hilton at Resort World Bimini to use their beach and pool or roam the beautiful island at your own discretion. Calling all nature lovers! Explore the Everglades on a narrated airboat ride to see all kinds of wildlife and learn about them while you’re at it. The boat drops off at the Everglades National Park, where you can walk along a jungle trail and see an alligator show. The return to Miami takes the scenic route along Biscayne Bay. See Miami’s beautiful coastline from the sea and maybe even catch a glimpse of a manatee or dolphin along the way! When it’s summer year-round, there’s no excuse to deprive yourself of a much-needed day trip. Leave your overnight bag in Miami and take a day off- you deserve it! For more in Miami travel, register on 305area and connect to everything the Miami area has to offer.